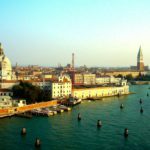 We’ve been twice in Venice and we can definitely tell you, that there are alternatives to the 4-star hotels in the city centre for almost 200 euros a night! 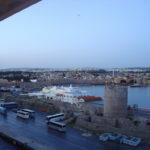 The first time we stayed at Russo Palace Hotel on the Lido island. This hotel is not on the main island but it is close to the beach! 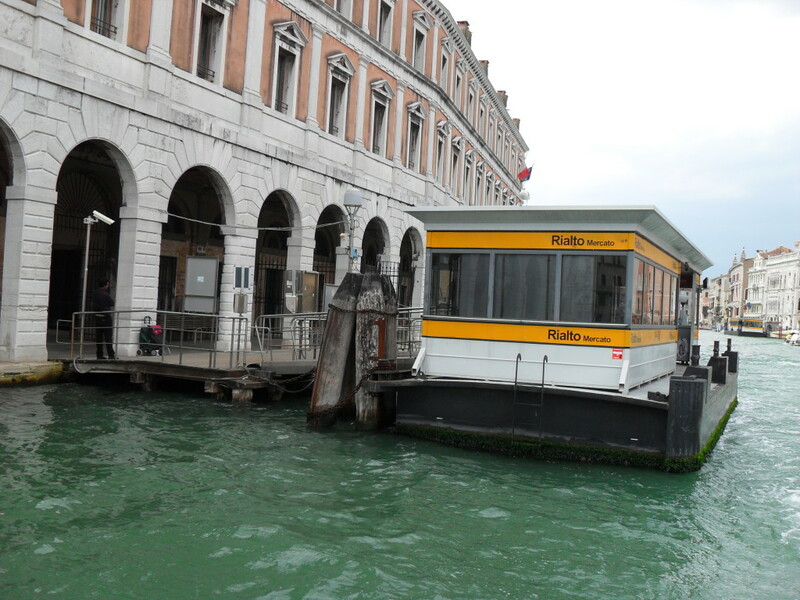 You can reach the main island and city centre frequently (every 20 minutes) with the vaporetto (water bus). But this time we were in a nice apartment very close to the bus station at the Church of San Simeone Profeta. 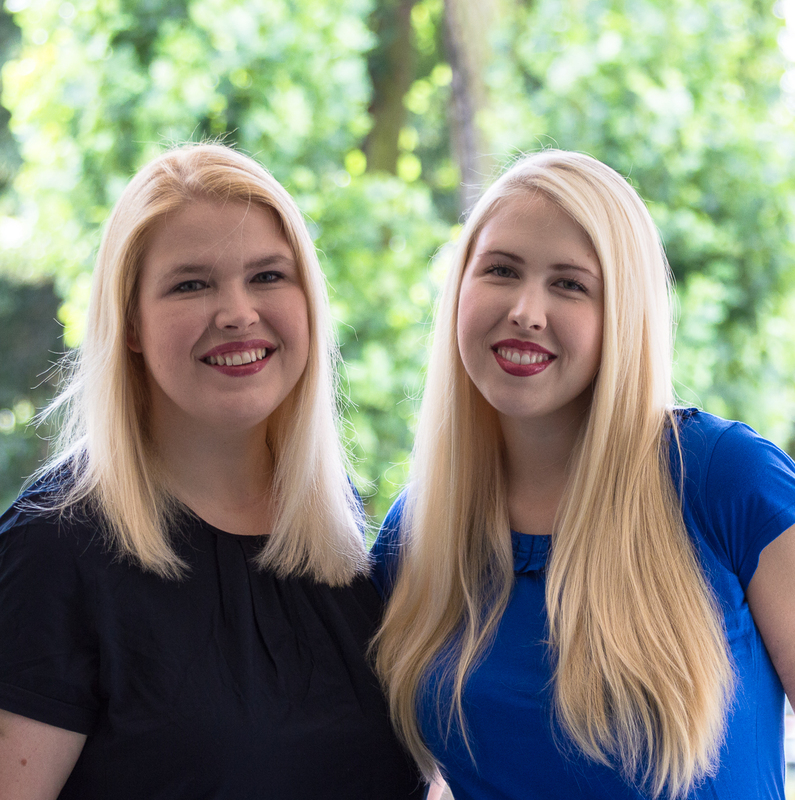 We tried Airbnb (Rental of local hosts) and rented an apartment for 4 people for two nights. One should make sure that the landlords have many reviews and read them carefully before booking. 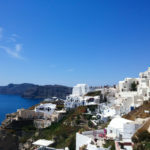 On this website you can request the apartment (preferably with information who you are, how many people you want to stay with and how many nights you want to book), the owner then decides whether he wants to have you as a tenant in the apartment and then you have time to accept the offer. 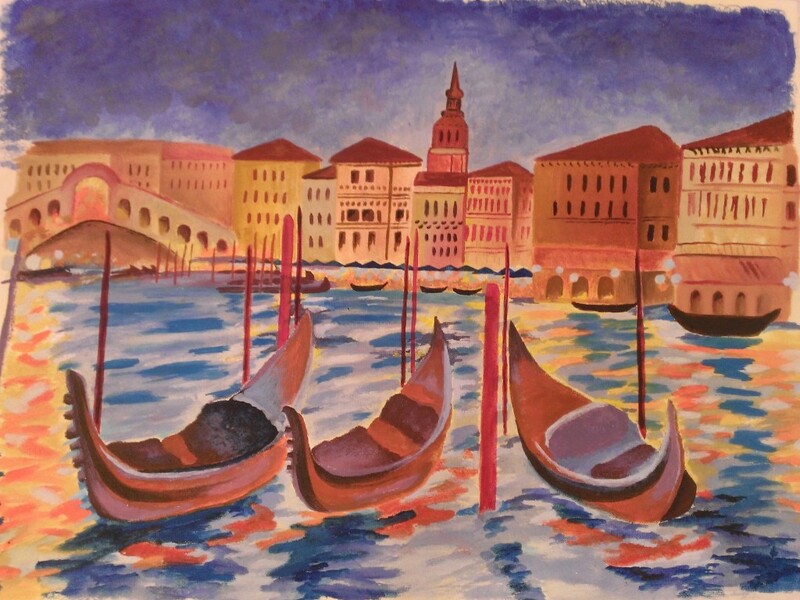 We have made very good experiences and can recommend it for a weekend or a short stay in Venice! Big advantage: With a kitchen you can buy tasty ingredients and make your own breakfast and cook in the evening! 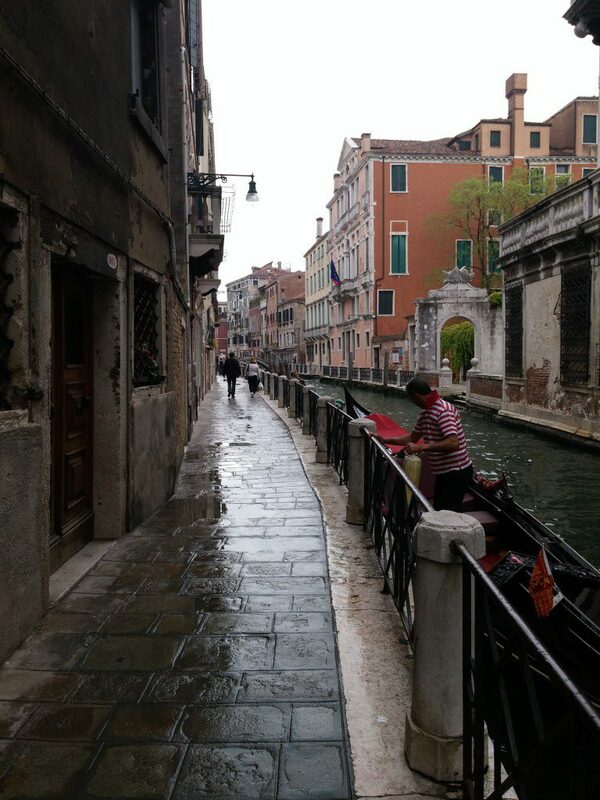 We also had an authentic balcony overlooking the Venetian rooftops and streets – very lovely! 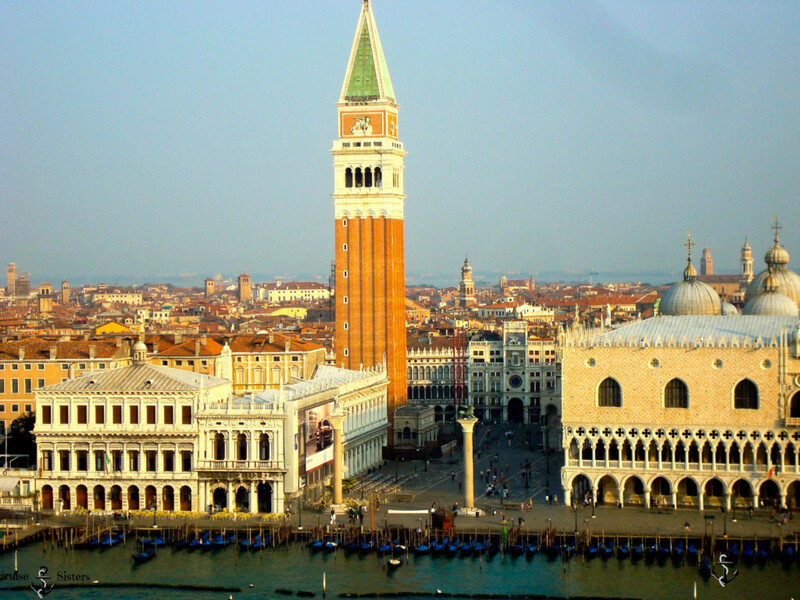 Once the first tourists are awake, the big buzz starts in Venice. The main streets are crowded, the traders get ready and you need a lot of time to get from one point to another. Therefore, you should get up early in Venice, even if you’re not a morning person. It will be worth it! In the morning there are already some avid tourists outside, but you can still make some fantastic pictures of the canals and cross the Rialto Bridge and St. Mark’s Square quite on your own. Around noon it’s crowded that you barely can walk over the bridge and the square, you rather get pushed with the crowds. 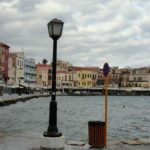 We strongly recommend to these places around noon and walk the unexplored alleys to cross smaller bridges. 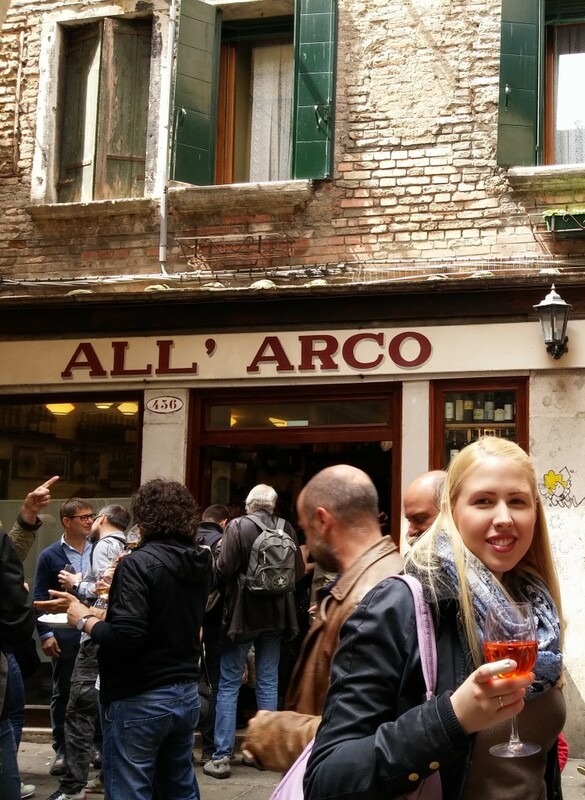 If you’re strolled through the streets of Venice and have already breathed some Italian air, then you should visit the small bar “All’Arco” at lunchtime! It is a lovely, absolutely authentic restaurant in the heart of Venice. They have no menu and only some small tables, but that’s not necessary here! You order inside and take your Spritz (Prosecco and Aperol) and a plate of Tramezzini (small sandwiches) outside to eat and drink on the streets. There are always many Italians in small groups to laugh, talk and enjoy life with each other! It may be unfamiliar and strange, but visiting this bar is a real experience. You can feel the Italian flair and you feel immediately comfortable. In addition, the prices are really fair and the appetizers are excellent! A small family business, which is sometimes quite noisy! In Venice you should take a water bus to move conveniently and watch the beautiful scenery of the life on the canals. You have a great view of the buildings and can explore the entire island. Either you take a day pass or just a 75-minute ticket. You can buy the tickets for example at the St. Mark’s Square at a ticket vending machine or at the waterbus terminal. 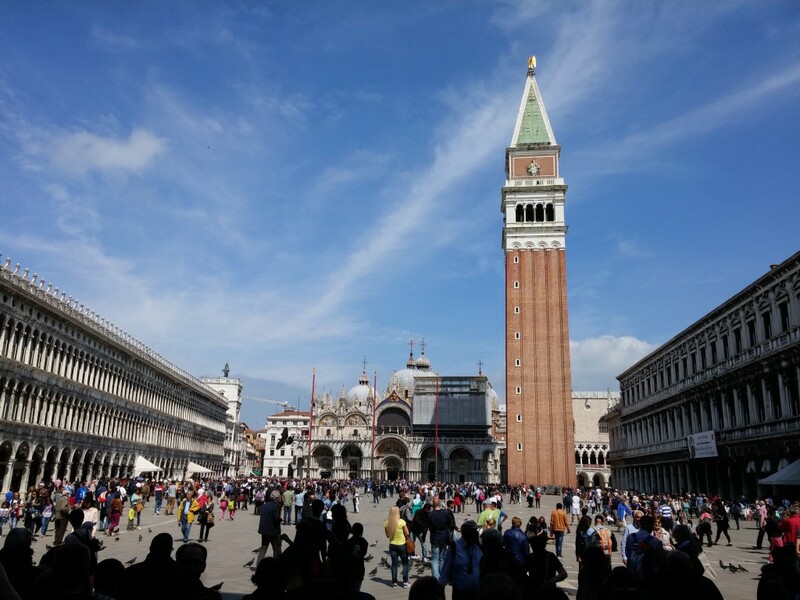 We recommend you to walk through the city to St. Mark’s Square. From there you can take the number 1 in the direction of Rialto Bridge. It’s best to look for a place in the back in the water bus (there are outside seats) or to remain at the waterbus entrance. If you want to get out spontaneously, you should rather stay close to the entrance, because you don’t have much time. But if you prefer to watch the scenery and want to get out later, you can sit back. 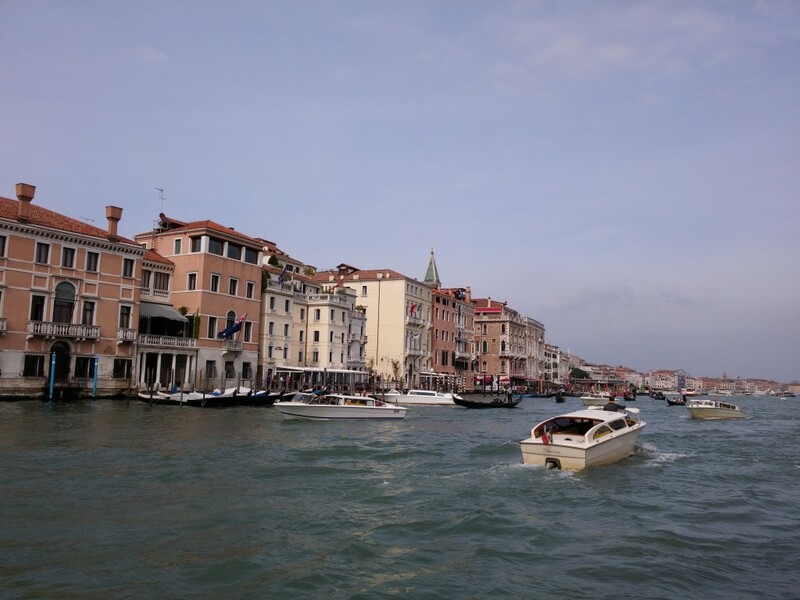 We recommend you to stop at “Riva de Biasio” and take the line 5.1 to drive round Venice. Or you go from St. Mark’s Square to the stop “Ferrovia” (Railway Station) and switch into line 3. Then you get directly to the Murano Island. If you are planning a trip to that island you should leave early, because the last water bus returns from the island in the afternoon. If your journey continues on a cruise ship or you just want to have a look at all the big ships, you can easily get to the terminal. The way to walk is quite far if you have a suitcase with you. 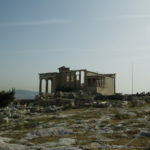 Therefore, we recommend you either to take a water bus or to use the People Mover (funicular). 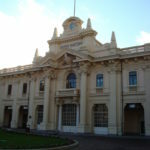 If you want to reach the cruise terminal by water bus, take the line 2 and stop at “Tronchetto Mercato”. Here you can find a map of the water buses. But if you arrive from the airport or you are in the vicinity of the square “Piazzale Roma”, it is easier to use the People Mover. The ticket costs € 1.50. The People Mover is clearly signposted at the bus station. If you are in the People Mover, simply get off at Porto Marittimo and then walk towards the harbor. You walk directly in direction fo the shuttle bus service of the shipping companies. This service is for ships that are located a few hundred meters further away.